My this years journey to Cape Town marks my personal 10 year anniversary since my first trip to the Cape of good hope in 2003. I am not that kind of person who need to travel to the same place over and over again. But when its winter here in Europe and i cant sit still because I really need to ride dusty trails – then there are not too many options. 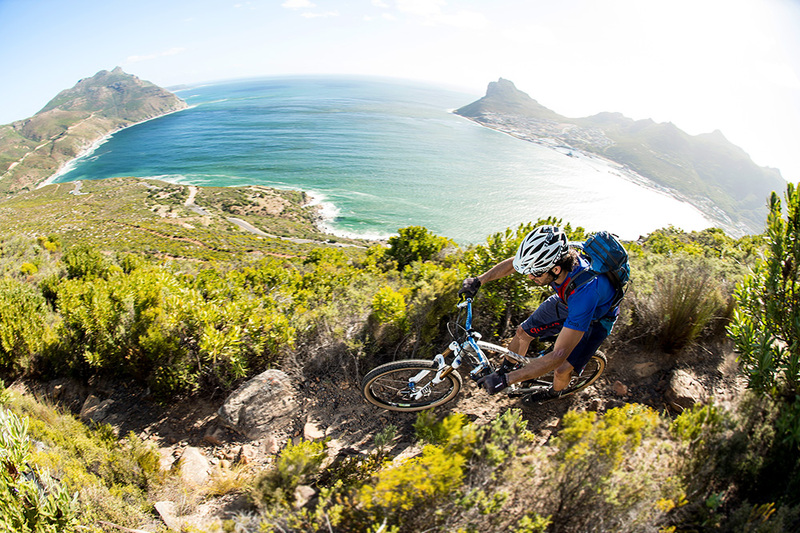 Southafrica offers a lot of riding – most of all at the western Cape region. 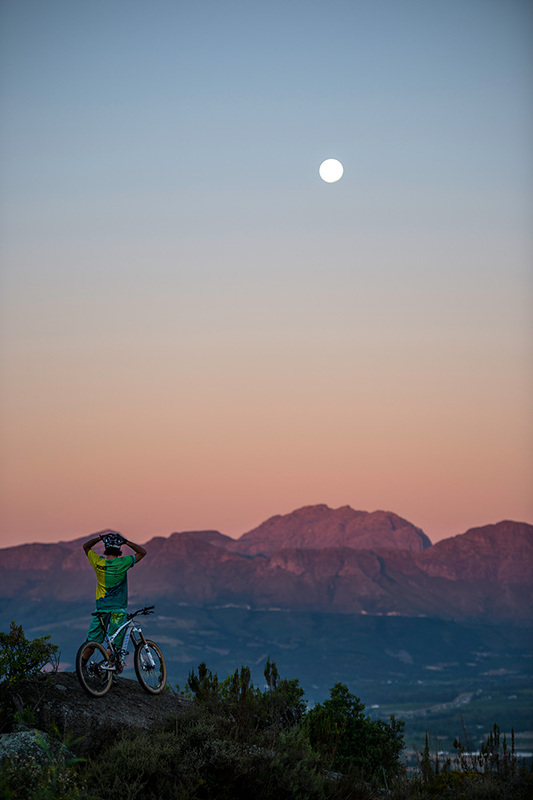 Since the Cape Epic stage race is THE ultimate Marathon for athletes around the world – the region is word famous for riding bicycles. On my first journey in 2003 there was not that much mountainbiking around Cape Town. Most of the riders used fire roads and only a few of gravity guys built some DH tracks. But what i figured was that this little but fine scene is highly motivated to stick together and ride together whatever rolls on two wheels. If its a BMX a Mountainbike or a Roadbike – there was no disrespect for the other „wheelsize“ lets say… The scene has grown fast in the past years. 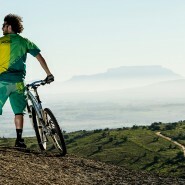 The MTB business is huge and the shops sell a lot of bikes and products. More and more brands enter the southafrican market. Also a lot of new riding spots pop up every year. 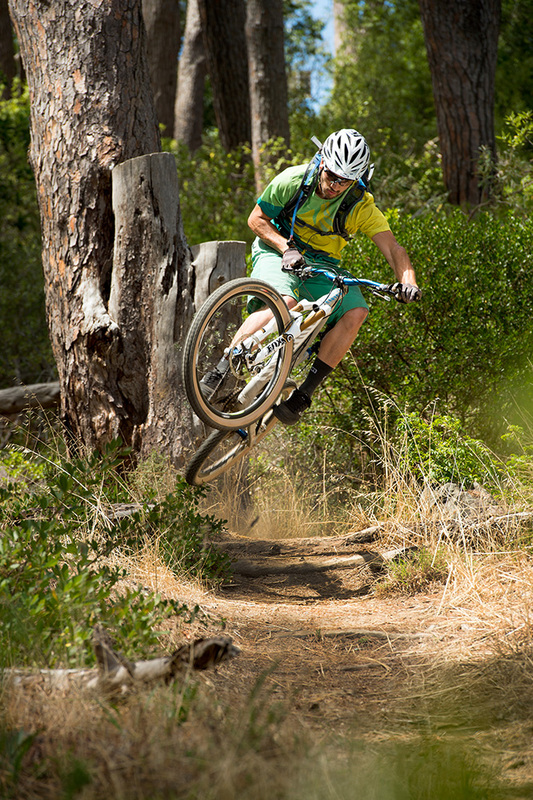 Most of the new trails are on private farm land – and so are the new races as well. 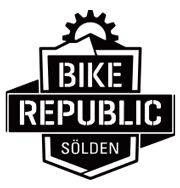 During the Summer months from December to March you can ride almost every weekend another really well organized stage race. Some European marathon athletes spend the winter at the western Cape to prepare for the season. 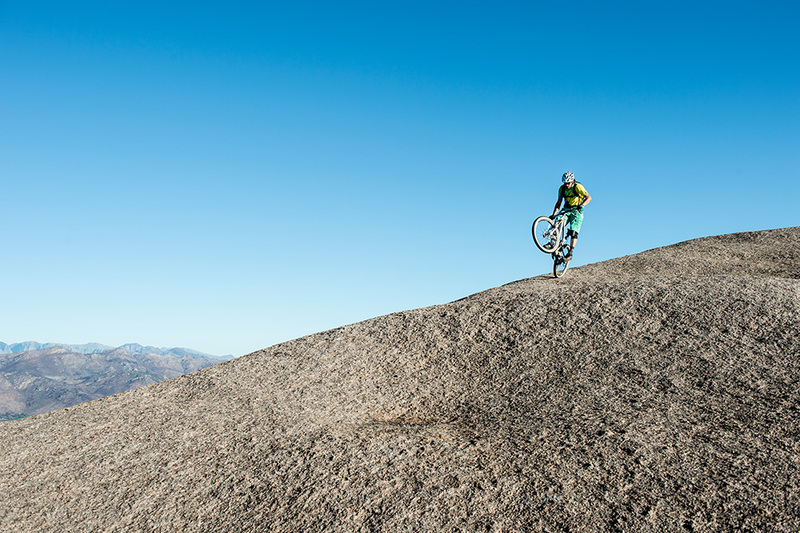 But not too many gravity oriented riders come to Cape Town for mountainbiking. Well, one reason is that you need to know some locals first of all. 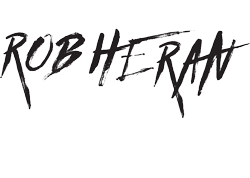 The spots are hard to find and some of them should be ridden in a group only. Sadly another reason is that Southafrica is a poor country with a lot of violence. 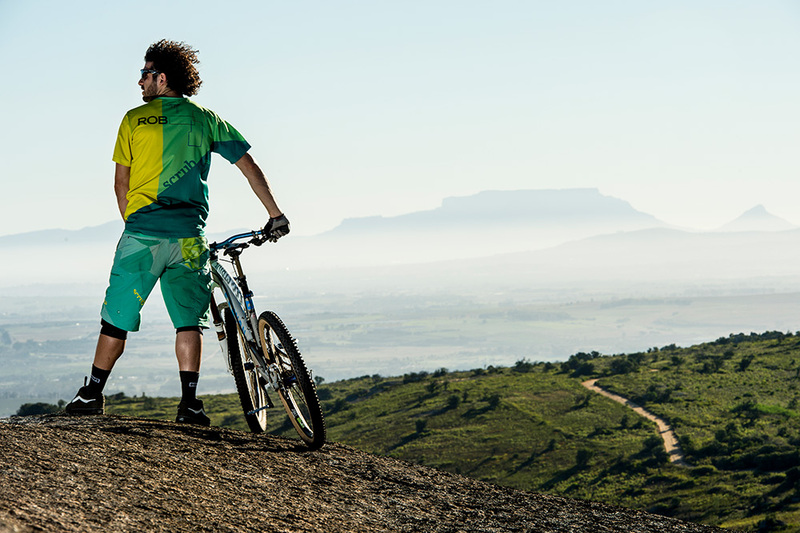 Mountainbikers are a new target-group for thieves and muggers.Table mountain became one of the most dangerous places to ride. If you want to return home WITH your bike make sure you ride in a group. But the cyclists are organizing themselves really well and put a lot of pressure onto the City to make the riding safer. My friend Craig Kolesky is Cape Towns sports-action photographer. I met him on my first trip in 2003. Back then he was this young and highly motivated surf photographer who wanted to shoot as much as possible to make a living out of it. Over the years he became such a great photographer and now he is traveling the world to shoot with all the Red Bull and Oakley athletes. Craig got also serious about his riding as well. Last year he had this idea to ride the Cape Epic for a good cause to raise money for the non profit organisation „One Sight“ which gives eyewar to people who cat effort it. Craig teamed up with his buddy and former kite surf pro Tyrone Rawlins and trained for a year to get in shape for the hardest stage race in the world. They finished the Epic and raised a good amount of money for One Sight. This year I brought my Canyon Strive Enduro bike with me. 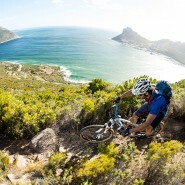 A perfect ride for all kind of terrain which the Cape region has to offer. 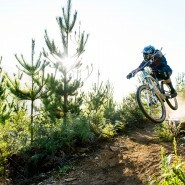 Craig and I spent some days to ride and shoot on the new trails in Yonkershook which is close to Stellenbosh. 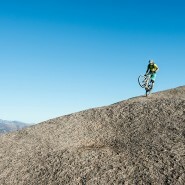 Some really amazing tracks link together and create a huge playground of smooth and also technical enduro singletracks. So much fun! 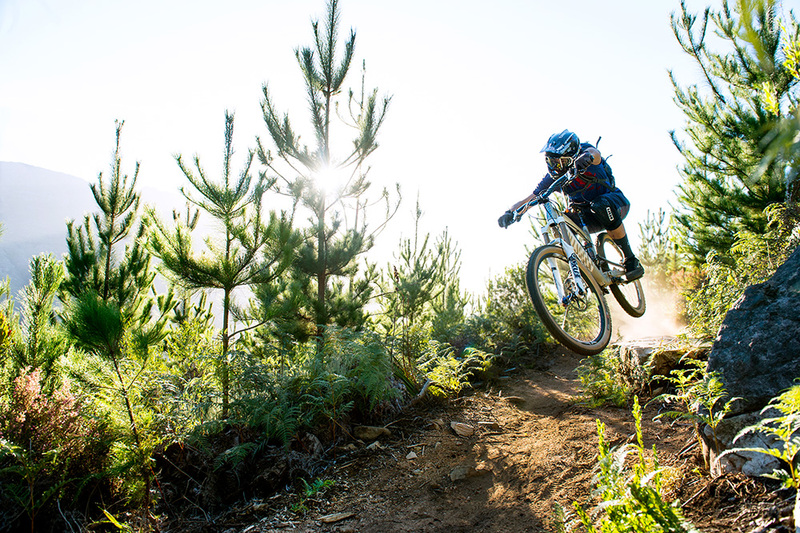 Another place to ride is Tokai Forest on the backside of Table mountain with a huge variety of well build tracks. 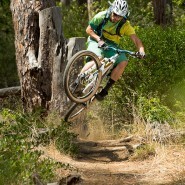 On weekends the DH track in Paarl is one of the hot spots for gravity riding. One DH track and one easier freeride track can be found there. I tried to ride as much as possible during my three weeks there. On some days we went for a roadride early in the morning before the brutal heat comes in. Or we did some late afternoon rides in the woods. I also found a great Dirt Jumping spot in Haut Bay. Luckily there was an event happening as well. 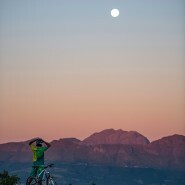 The „Night Harvest“ was a MTB and BMX Dirt Jumping session. All in all – I must say that Cape Town is still one of my favorite places to be and even I have been there the last ten years – I probably will be back soon again. Thank you Craig!! Good times.